The Iraqis have decided to change their flag once again. This actually is a good idea - the current flag is a mixture of the traditional Arabic colors, the Ba'th party, Saddam's attempt to rally the Islamic world to his cause against the West, and an attempt to retain an Islamic flavor without Saddam. It didn't work. Let's take a look at the history of the flag since the Ba'th came to power in 1963. 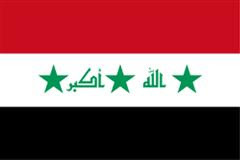 Above is the flag of the Republic of Iraq adopted in 1963 when the Ba'th party seized power. The red, white and black are the traditional pan-Arab colors - there is disagreement now over the meaning of the three stars. When there was union between Egypt (two stars), Syria (two stars) and Yemen (one star), they used the basic tricolor flag design. Some believed that Iraq (three stars) signified a pan-Arab affiliation with the other countries. Others claim the stars signify the Ba'th party attributes of unity, freedom and socialism. 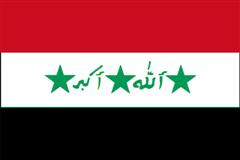 The above flag represents a change made by Saddam Husayn in after the American-led response to his invasion of Kuwait. After coalition forces attacked Iraq in January 1991, Saddam responded by launching modified Scud missiles against Israel and Saudi Arabia. Saddam also modified the Iraqi flag to include the takbir, the "Allah Akbar" script between the stars in Saddam's handwriting. This was a rather blatant attempt by Saddam to change the Gulf war from one of the liberation of Kuwait to a religious war between the West and the Islamic world. This was a proposed flag following the removal Saddam Husayn. 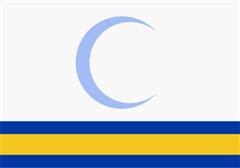 The crescent represents the Muslim nature of the country, the two blue lines the two rivers (Tigris and Euphrates), and the yellow the Kurds. It was not well received. This is the flag in use up until this week. It retains the color scheme and the takbir, but not in Saddam's handwriting. The representation of Saddam's handwriting was replaced with Kufic script. The removal of a link to Saddam was good for the Arabs but did still not sit well with the Kurds. Any reference to the Saddam regime is regarded as complicity with the persecution of the Kurds. This is my interpretation of what the new Iraqi flag will be. It retains the pan-Arab colors and the Muslim takbir but removes the stars of the Saddam/Ba'th regime. It fits. Egypt has replaced the two stars with the eagle of Salah al-Din (Saladin); Yemen has removed the stars altogether. 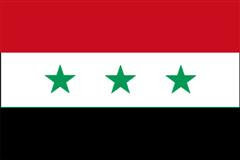 Only Syria retains the stars - and they're the bad guys, right? In the final analysis, I would prefer a flag without an Islamic content but can live with the current evolution. 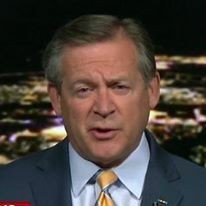 Can the Iraqis?